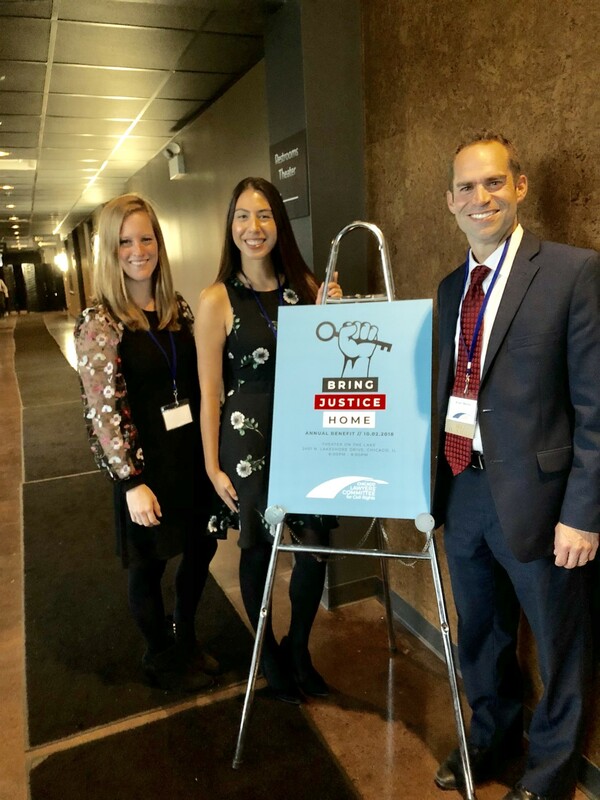 On October 2, 2018, firm attorneys (pictured above, from left) Julia Schenk, Erica Burgos, and Alex Marks (member of host committee) attended the Chicago Lawyers’ Committee For Civil Rights Under the Law’s annual benefit, “Bring Justice Home.” Chicago Lawyers’ Committee is an organization of civil rights lawyers and advocates working to secure racial equity and economic opportunity for all. The annual benefit commemorated the 50th anniversary of the Fair Housing Act and Dr. Martin Luther King, Jr.’s leadership role in Chicago’s Freedom Movement. Julian Castro, the former Secretary of Housing and Urban Development, was the keynote speaker. For more information on the Chicago Lawyers’ Committee, please contact Alex Marks at 312/840-7022 or amarks@burkelaw.com.